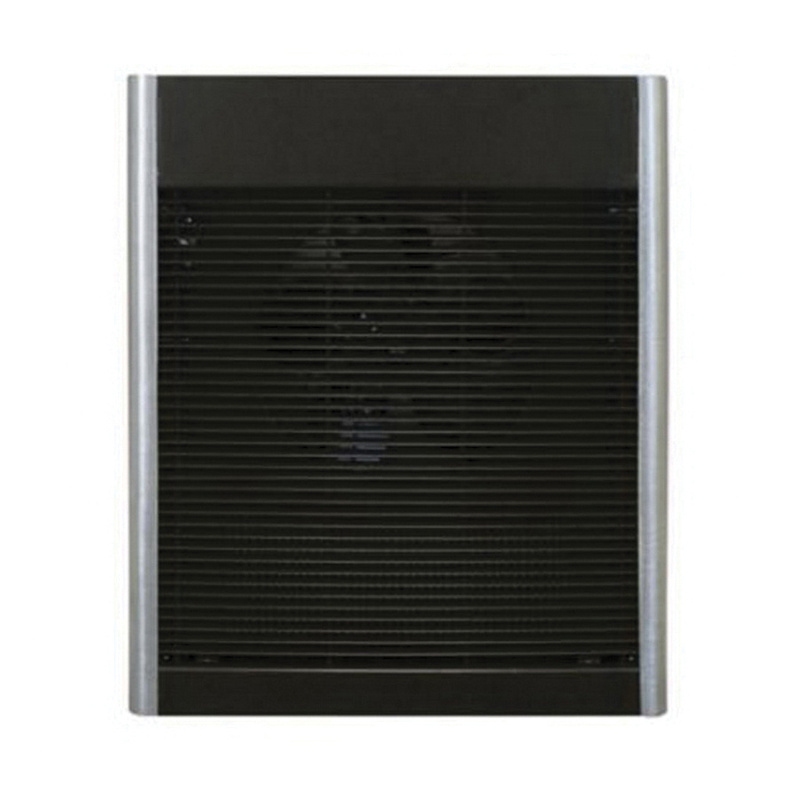 Q-Mark AWH Model architectural wall heater in statuary bronze color and baked enamel finish, produces heat up to 16378 BTU/Hour. The 3-Phase, heavy duty heater uses permanently lubricated and enclosed motor to deliver an airflow of 100 CFM. It has a voltage rating of 208-Volts, current rating of 23.1-Amps and element wattage of 4800-Watts. The grille measures 19-5/16-Inch x 15-3/4-Inch x 1-1/4-Inch. It is suitable for vestibules, entrance ways, lobbies, hallways, stairwells, restaurants, conference rooms, offices, basements and family rooms. Wall heater is cETLus certified.